Are you looking for a local way to help out those in need? 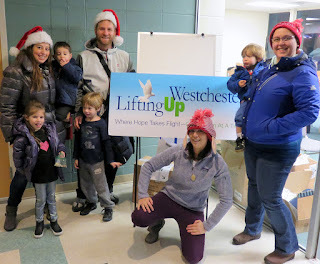 If you are local to Westchester County, NY, than Lifting Up Westchester (LUW) is a great organization to be a part of! LUW is a nonprofit agency which provides homeless and poverty services to individuals throughout Westchester County. Their second annual Holiday LIFT campaign starts on November 4th-- just one week away! The campaign offers tons of ways that the community can spread holiday cheer! I am so inspired by this amazing organization. 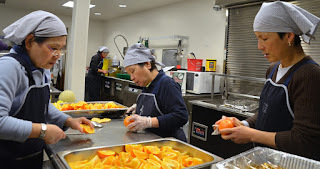 Founded in 1979, LUW serves 4,500 men, women and children each year providing 140,000 meals to the hungry and 28,000 nights of shelter to the homeless. How incredible! Holiday LIFT activities will include distributing warm coats and winter clothing, providing 2,000 holiday meals from the LUW soup kitchen, filling and distributing 500 holiday food bags, and wrapping and delivering hundreds of gifts. It will take an army of volunteers to get it done. “It’s heartwarming to see the community come together during the holiday season to make sure that everyone has a special meal, receives a small gift or has warm clothing for winter,” explained Anahaita Kotval, executive director. “It’s particularly touching to see people of diverse religious and ethnic traditions helping our clients celebrate holidays like Thanksgiving and Christmas or making a special effort to share their own heritage and traditions with our clients. Organize a food drive!!!! (Foods needed most are turkeys, hams, instant mashed potatoes, gravy mix, stuffing, canned vegetables, canned cranberries, cake and brownie mixes). Did you get a free turkey this year? Why not donate it to LUW? Donate $10-$25 grocery store gift cards! Donate NEW winter wear like gloves, hats and scarves for residents of the Open Arms Men’s Shelter and Samaritan House Women’s Shelter. Pick up an extra toy while out shopping this year and donate items like sports balls, board games and multi-cultural dolls for the children and teenagers in the Brighter Futures Youth Programs. Holiday Gift Guide: Non-Profit Style!